High Expectations – What is it? This blog is an extract taken from Defining High Expectations in Your School by Tim Nelson. To find out more click here. As you may expect, many schools use the phrase ‘high expectations’ in their mission statement, prospectus, website and other similar material when describing outcomes for their pupils. Whilst not wishing to criticise any of these statements, all of which are worthy aims, the difficulty can be that one sentence is neither expansive enough to cover the wealth of provision and outcomes, nor specific enough to be truly meaningful and measurable. 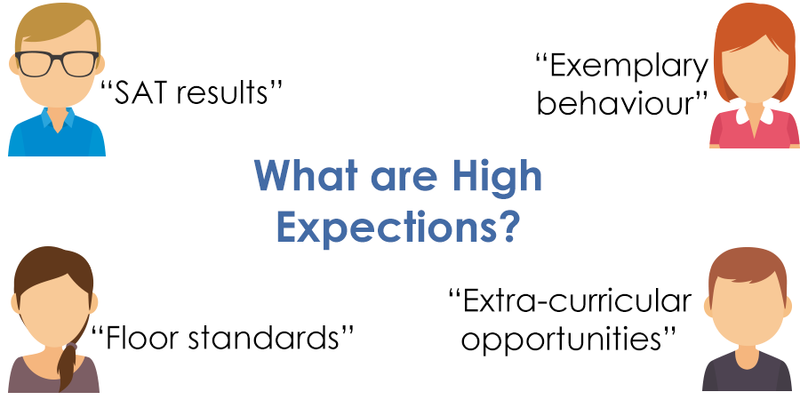 Another common issue is that an agreed definition of ‘high expectations’ does not exist within a school. The head teacher may give one response, a deputy head teacher a different response and the chair of the governing body yet another differing response. 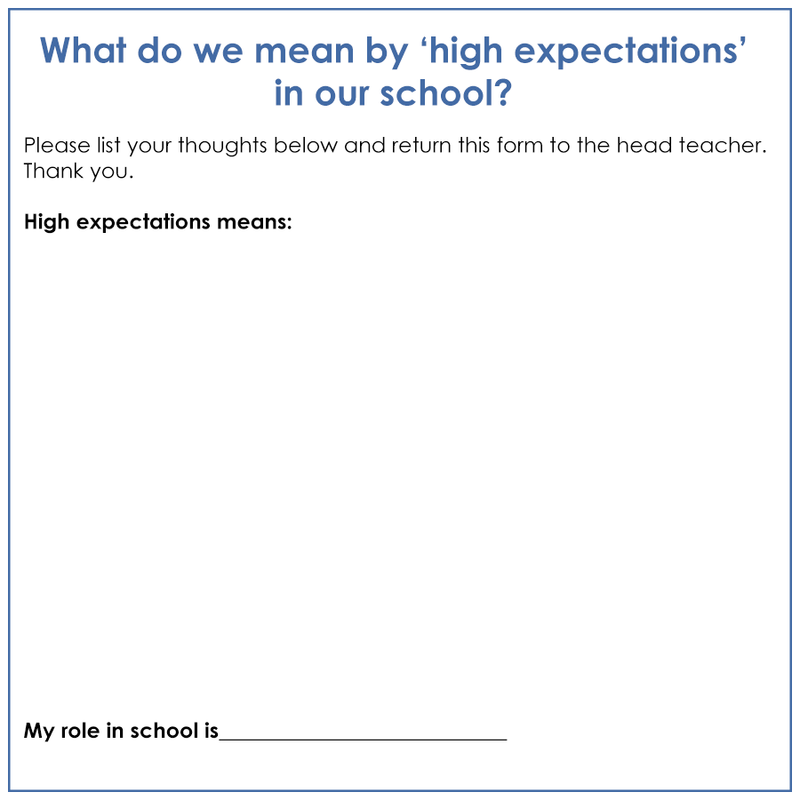 Before reading any further, it may be useful to consider what your response would be if you were asked to define ‘high expectations’ in your context. Would your answer differ if you were asked the same question by different people? For example, what if you were asked by a parent, a governor, a member of staff, a pupil or an inspector? What would be the responses from your colleagues in the same situation? The format below can be used to sample the existing views of stakeholders. It could be given out at a staff meeting, governors’ meeting or parents’ evening. ‘Teachers have consistently high expectations of all pupils’ attitudes to learning. School inspection is an evidence based process. Inspectors will need to find strong evidence to support a judgement based on a school’s ‘high expectations’ in both these areas. Because of the importance of the Teachers’ Standards in appraisal systems and pay progression it is vital that schools have a clear understanding of what these elements actually look like in their context. For more information on Inspection, keep an eye on the Focus Education blog, find us on Twitter @focuseducation1 or get in touch with the Focus Education office on 01457 821 818. 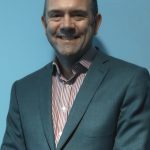 Tim has been a headteacher with a successful track record; his last school had a reputation for innovation and their initiatives have been utilised by others and presented internationally. School improvement has been at the heart of his career, working as an LLE, a School Improvement Partner, Professional Partner as well as an Ofsted inspector and mentor for trainee inspectors.